Cinderella Castle is amazing during the Christmas season. 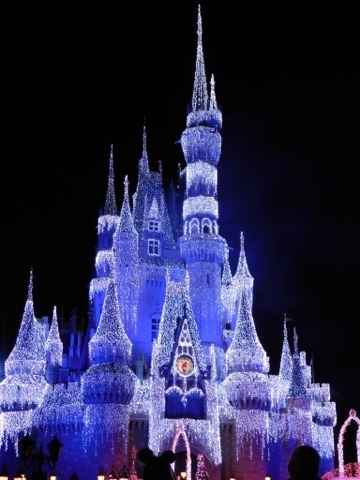 It is illuminated each night by Elsa from Frozen. With over 200,000 lights, it is quite a spectacle.